* Set of 10 fantastic words. 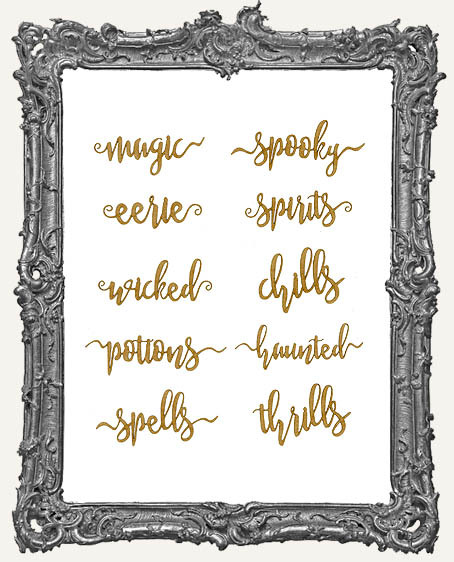 Includes magic, eerie, wicked, potions, spells, spooky, spirits, chills, haunted, thrills. 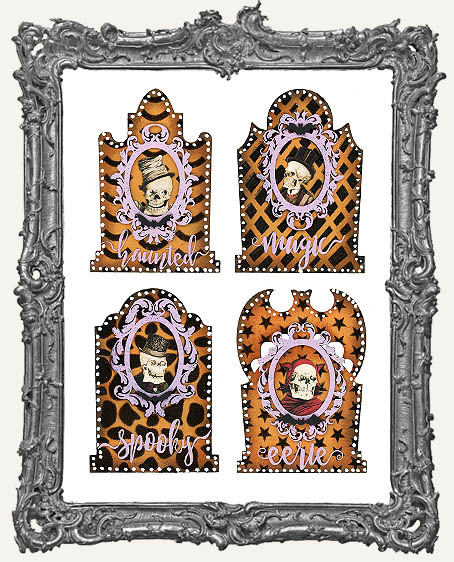 * Perfect with our Gothic Tombstone ATCs and much more! * The word sizes vary, keeping with the organic look. They range in size from approximately .75" - 1" tall and 1.5" - 2.25" long. * Made from .015" thick Stencil Board. 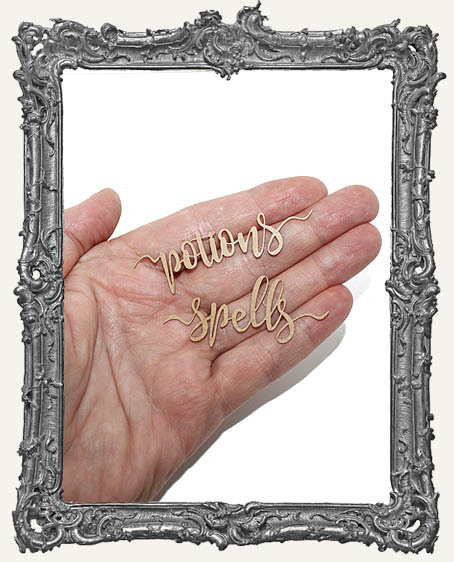 * Find more Art Script Words (including larger versions) which you can combine here.